I haven't find on the net something similar. Either i didn't search good enough or people who have done it haven't posted their solutions online. I am curious how others have done it. 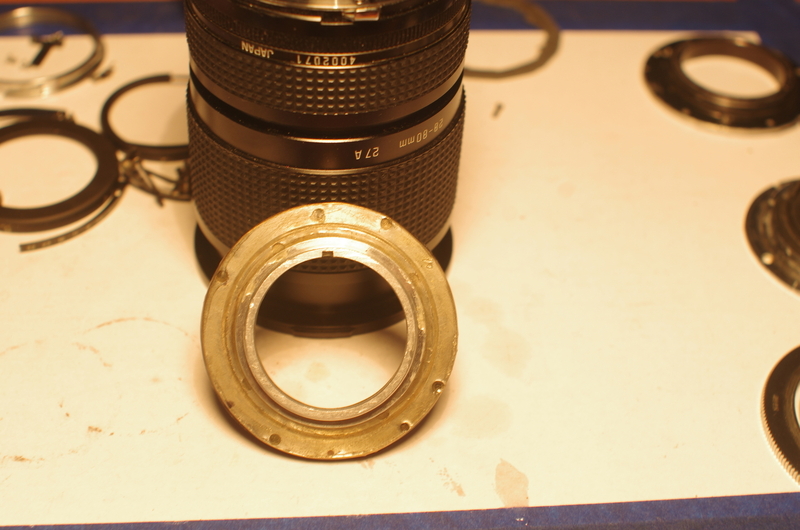 Here a very simple, crude, DIY Tamron-M39. 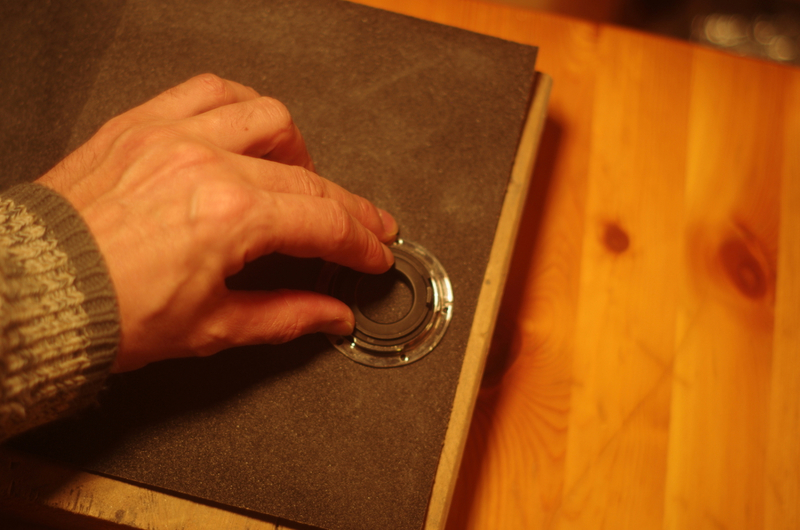 I used usual home tools, basically a minimal dremel kit, sanding paper and 2-components epoxy glue. This is not exactly a general receipt, as it's done with random parts I had around, but it was quite simple. I had preferred to assemble parts with screws instead of the all epoxy solution. But a correctly, carefully mixed two-components epoxy used in small contact gaps between parts with some edge filling where possible, should hold. Ideally I should contact some machinist that could produce from brass or aluminium what I did make here. 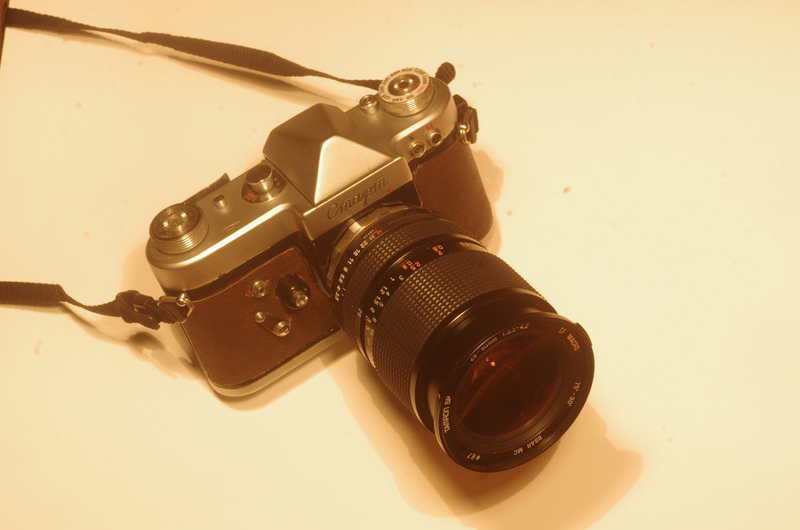 i have some SLRs in (Zenit) M39 mount, Zenit-3, Zenit-3M and I use the M39 adapter ring of my KMZ Start SLR. 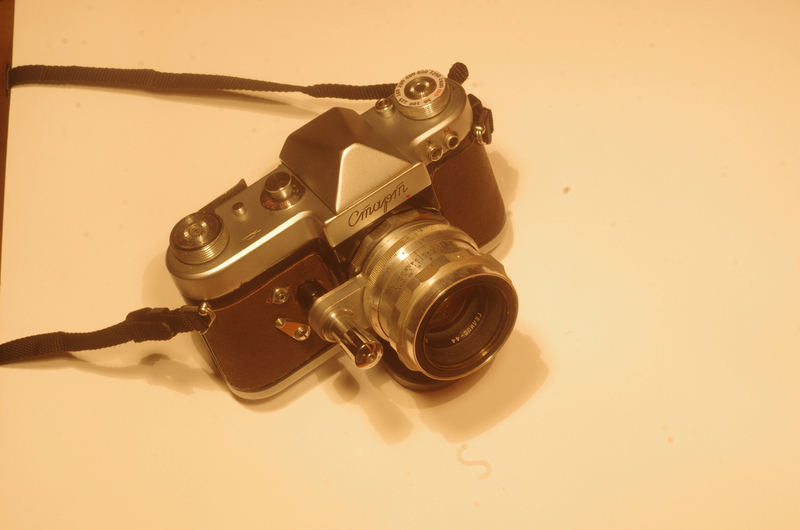 For 35mm I use only purely manual SLR (no need of battery for the shutter). 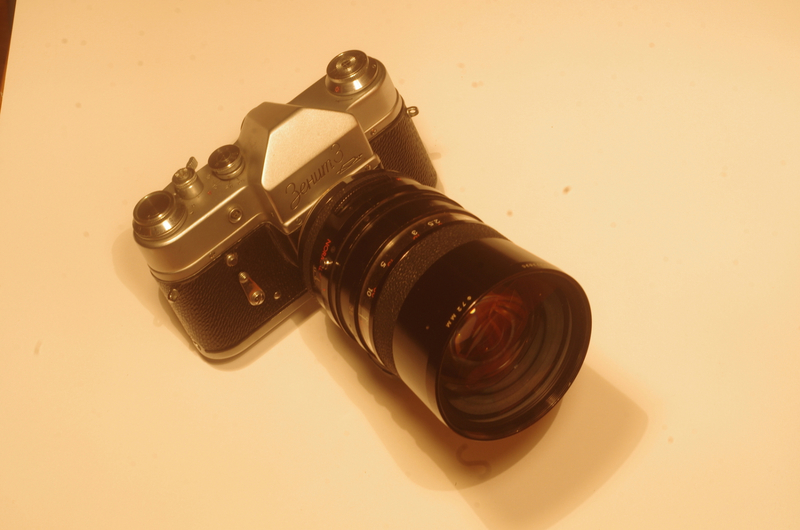 Old Zenit are nice but somewhat limiting speeds (B, 1/30, 1/60, 1/125, 1/250, 1/500). The Start has a broader choice of speeds, with slow and fast ones. It's in fact the Zorki-4 mechanism (1, 1/2, 1/4, 1/8, etc to 1/1000). It has also a film knife in case one uses the receiving cassette. I like this box even if I don't use the native Helios-44 with DOF preview functionality. 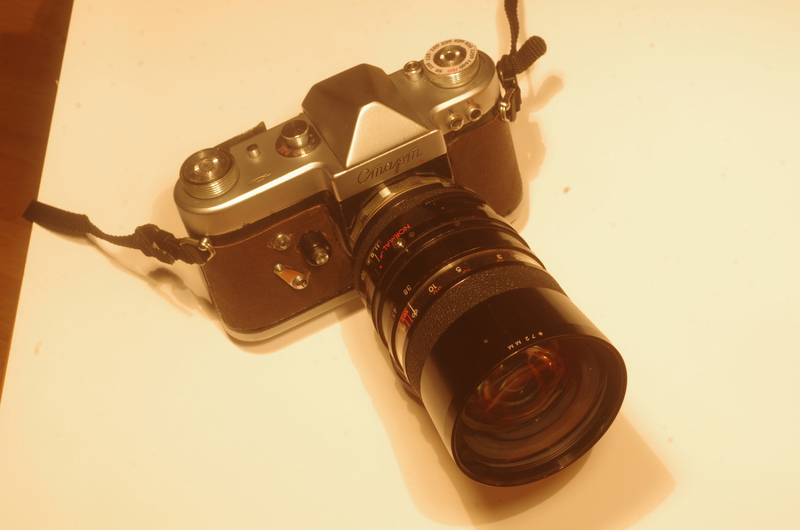 But unlike with M42 mounts, there's much less availability of SLR M39 lenses and the wider one is the Mir-1 37mm. While I was looking in my box of old broken and unused lenses, parts, adapters and whatever, I recalled that I have two Tamron zoom lenses, a 25-80mm and a 38-100mm, and the primes in 28mm and 24mm are found for a reasonable money, even cheap sometimes. I also had around an unused Tamron-PK adapter. 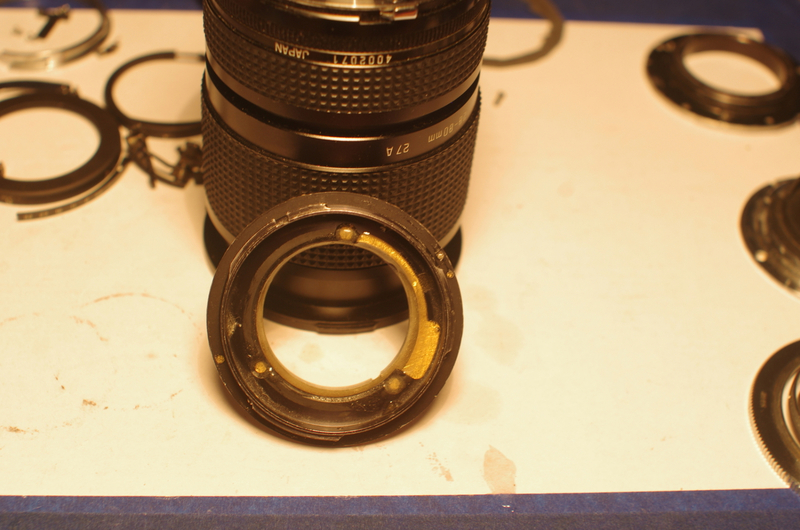 So instead of doing a job only for one lens, I had the idea to make a Tamron-M39 adapter instead, could use my two Tamron and a 28mm or 24mm when I'll buy one. 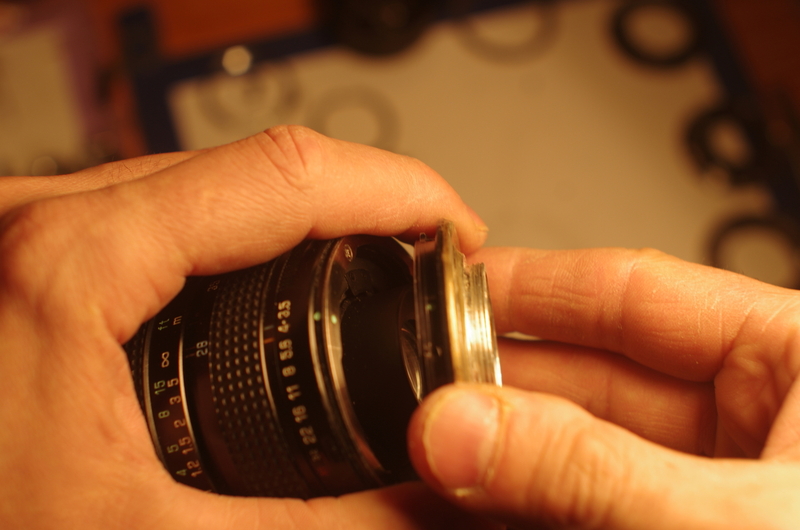 some initial problem is the availability of M39 lens thread with a broad enough plate around it. For instance here one M42-Pentacon6 adapter, where the M42 thread is part of a broader metal plate which could be cut and used for an adapter. The plate will provide good contact and support for further assembly, there's room for boring holes, setting screws or good contact surface for glue. I could use a broken Helios-44 if I had one around, otherwise I am not going to destroy a working or repairable one, these silver H-44 are expensive. I don't have a broken Jupiter-8 available and anyway there's very little room around the thread. On a Industar-61 there's a bit more metall, and also there are a lot of them for very cheap. 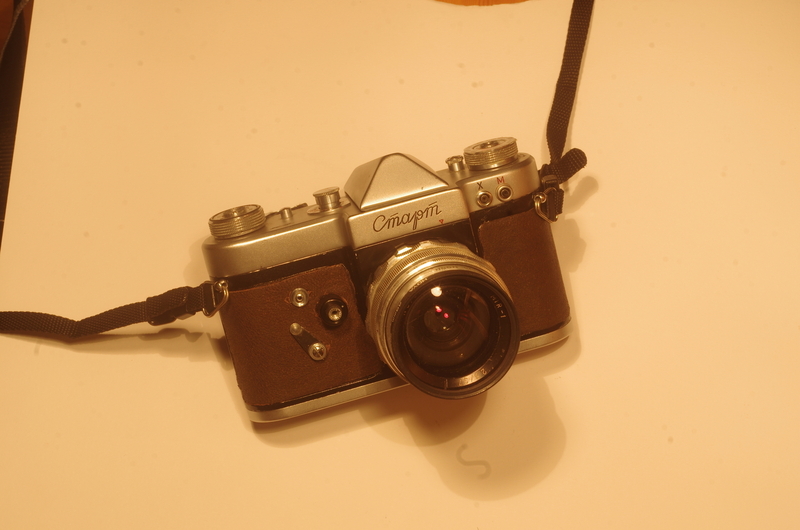 at this point I had the idea to use the M39 mounting plate from the body of a broken Zenit-3M I had around. The thread was dremel cut from the plate. 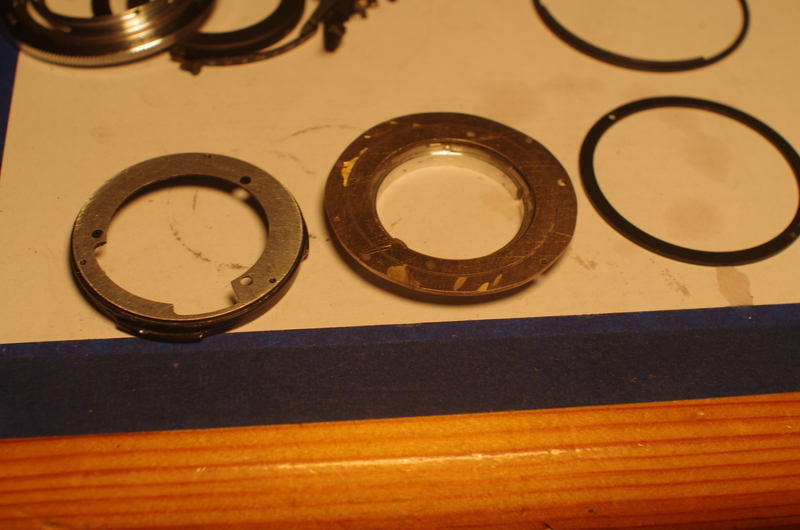 I glue together the broader ring with the M39 mounting plate, then on top the M39 thread of the Industar-61. Fill with epoxy all empty space in-between and around. now the job is to sand contact surfaces of the M39 plate and the Tamron bayonet, until the assembly of the two will have the same thickness than the one on the Tamron-M42 adapter. The two parts will be hold together with epoxy, so a thin layer of it will come in-between, but that will be in the tolerance of the register distance (hopefully). 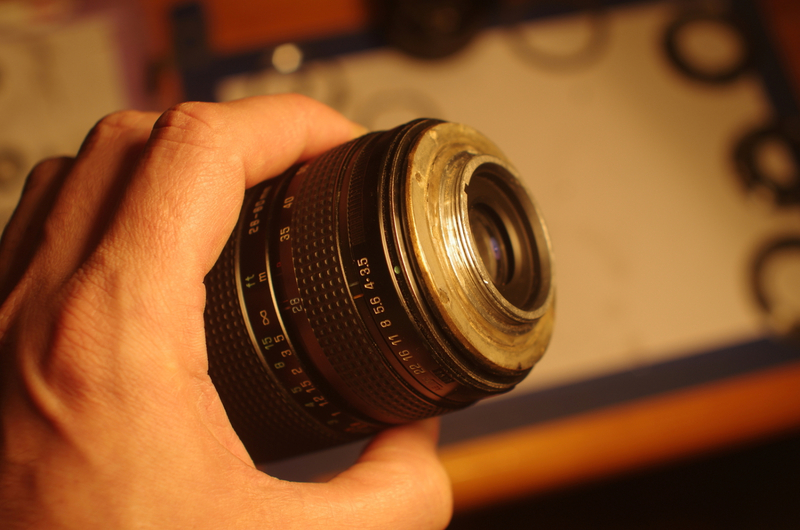 I test focusing at infinity and at close range on my Pentax K-5 (M42 adapter on the body) with a M39-M42 adapter ring. 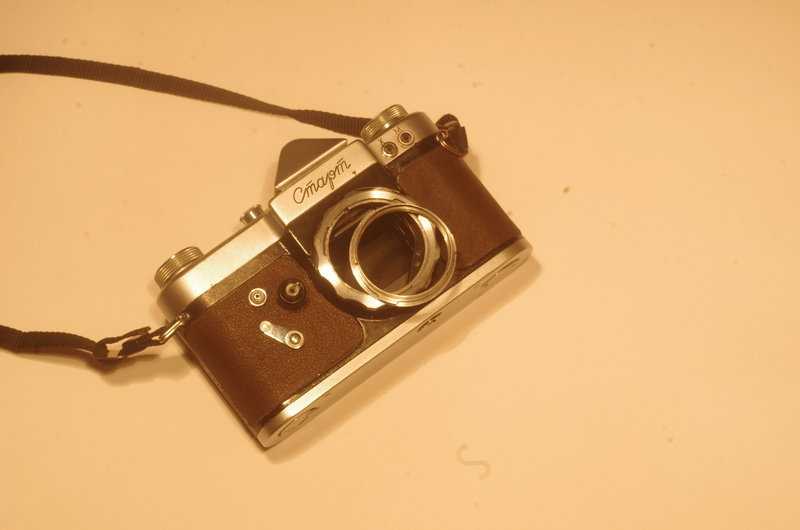 Then I test focus on the Start camera and on a Zenit-3M.